One of my favorite things is going for a walk right after a snowfall. I love the quiet before the plows come through, before people start driving on the roads and before the sidewalks are shoveled. I enjoy seeing the snow sparkle as it reflects the sunlight. A fresh coating of snow makes everything look so pretty. As today’s quote suggests, kindness is the same. 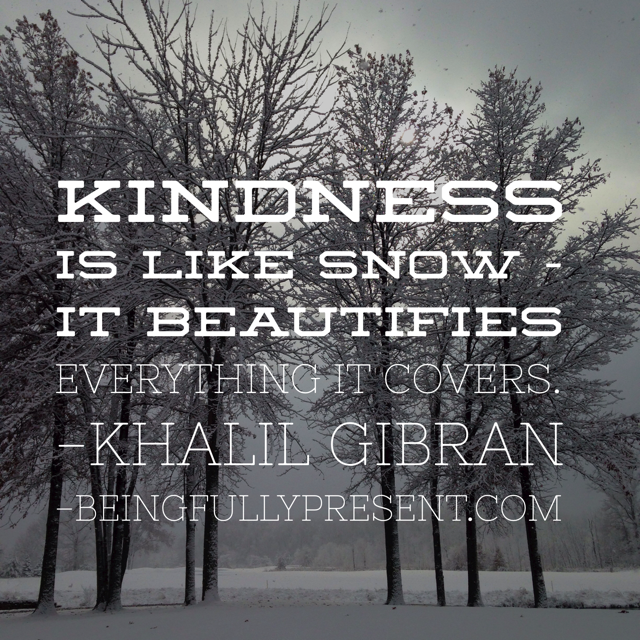 Like the snow, kindness beautifies everything it covers. What can you beautify today with a kindness? Photo taken in my neighborhood after a light snow in November, 2014.